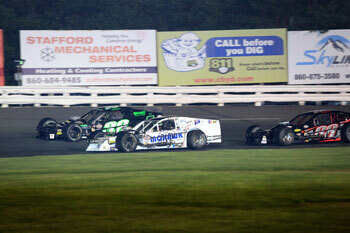 (Stafford Springs, CT)—Entering the 2017 SK Modified® season at Stafford Motor Speedway, Baltic native Tom Abele, Jr. had very little in the way of seat time at the Connecticut half-mile. After striking up a deal with Keith Rocco to pilot his #32 machine with sponsorship from Dunleavy’s Truck and Trailer Repair, Course Legend, and 32 Signs Abele decided to run Stafford for the full 2017 season. Abele has made the most of the opportunity, racking up top-5 finishes in each of the first two races and currently sits 5th in the points standings, only 8 points outside the lead. After running his own team for the majority of his career, Abele says that the partnership with Rocco has enabled him to race stress free as well as being a blessing in disguise in that Rocco always has an answer for how the #32 car might be handling on a particular day. In light of his good start to the 2017 season, Abele not only feels like he is now a weekly contender, but that even a win could be possible this season. After racing with the leaders during this past Friday night’s feature event, Abele was feeling like he had a legitimate opportunity to come away with his first SK Modified® victory at Stafford. Despite the winning feeling, Abele says he is in no hurry to try to make a move that he isn’t yet ready to make to try to win a race. 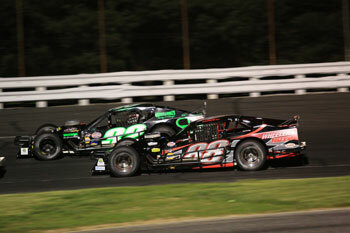 While Abele has collected several feature wins during his time in the SK Modified® ranks at Waterford Speebowl, he says that a win at Stafford would be an extra special win in his career. 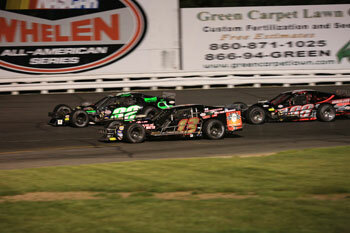 Abele enters the May 19th SK Modified® feature event in the midst of a titanic fight for the track championship. Three drivers, Ted Christopher, Keith Rocco, and Ronnie Williams, are tied for the point lead with Chase Dowling only 4 points behind and Abele 8 points behind. If Abele can continue his run of good fortune and collect his first Stafford SK Modified® victory at some point, it would go a long way towards keeping him in championship contention throughout the summer.